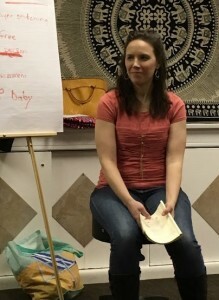 I teach group birth classes. I do doula work. I’m also the Director of Education for a busy birth center near Washington, DC. I work with families and pregnant couples when they first find out they’re pregnant–or are still trying!–through postpartum. I’ve noticed that what people need at this time is, essentially, a doula. Someone to listen, walk with them, and shepherd them through this big, big transition. Giving birth in this industrialized, hyper-socialized world requires a bit of intellectual finesse in the preparation: the birth education part. That is part of our job, too! That’s when I started researching, writing, and designing for Better Birth Graphics. Having print-and-go resources with the important information distilled and presented in an attractive and easy-to-read way allows me more time to listen and practice with clients. This allows me to build better relationships, have more interactive classes, and meet more needs in less time. People leave feeling happy, prepared, and eager to tell others. 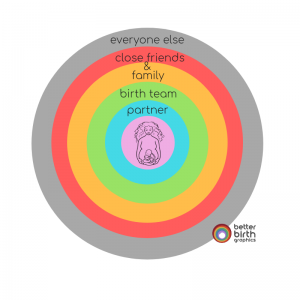 What that looks like in prenatal meetings, birth class, and talking to clients at the birth center is continually evolving. In groups, so many of the things I want to say or cover get said by another person in the class. It’s twice as powerful with the peer validation. I teach a long, very comprehensive birth class and do have more time to leave for listening. But there are things I won’t get to when we do a lot of listening and interactions. And that’s OK, because I have a library of easy-to-read, graphic birth handouts for my clients. If we don’t get to talk about xyz, I give them a handout, briefly go over it, and listen for questions about it next time. My job is support. I’m part of the birth team. Though I do largely educational support, even that’s best done with client knowledge gained from listening. To fit in all the content I know they need to know, I use birth handouts that I research and design. In just a few weeks, I’ll be introducing The 2019 Resource Guide: my first ever package deal. 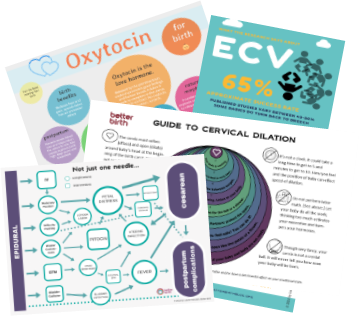 It will include 25+ printable files on essential birth topics. When they’re ready, I’ll introduce them at a HUGE discount! To fit the listening, the hands-on, and the education into the work, you can use any simplified, easy-to-read material. Better Birth Graphics saves you time and presents a cohesive, evidence-based, professional approach. 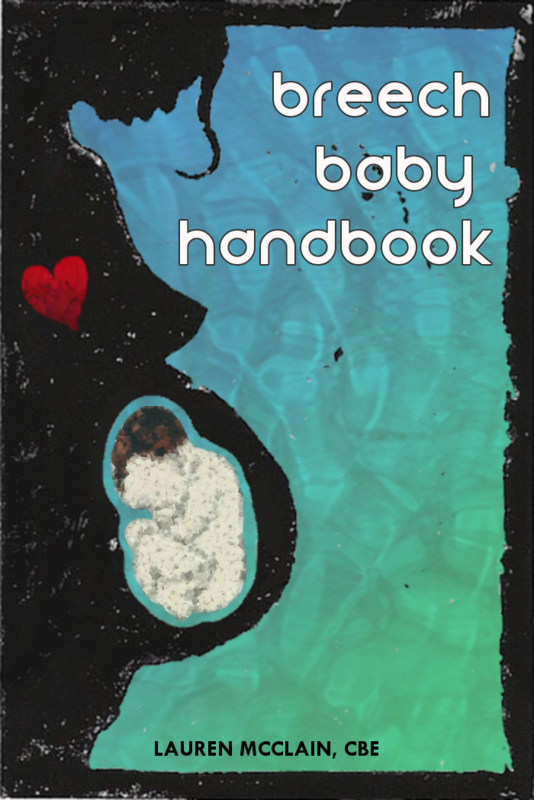 The 2019 Resource Guide will only be available as a deeply discounted package for a short time, but you can get individual birth resources in the shop any time, year round. Put your email here to be notified when the 2019 Resource Pack is available!